AIR 1. The amazing viz in a Mexican cenote. 2. Tulum, the only ancient Mayan city with an ocean view. 3. Swim-through on the Great Maya Reef. 4. The shortnose batfish, whose "nose" grows shorter with time. Not too long after Hernando Cortez first dropped anchor off the east coast of the Yucatan Peninsula, he ordered his soldiers to burn their ships. History records this as a move to eradicate any thought of retreat from the minds of his expeditionary force. But it just might be possible that Cortez, having seen the wild beauty of this part of tropical Mexico, became the first tourist ever to proclaim, "Forget it. This is the place; I ain't goin' home." AVERAGE WATER TEMP: 76-84°F WHAT TO WEAR: Dive skin or shorty in summer; 3-5 mm fullsuit in winter. AVERAGE VIZ: 100+ feet WHEN TO GO: Year-round; November-May is dry season. 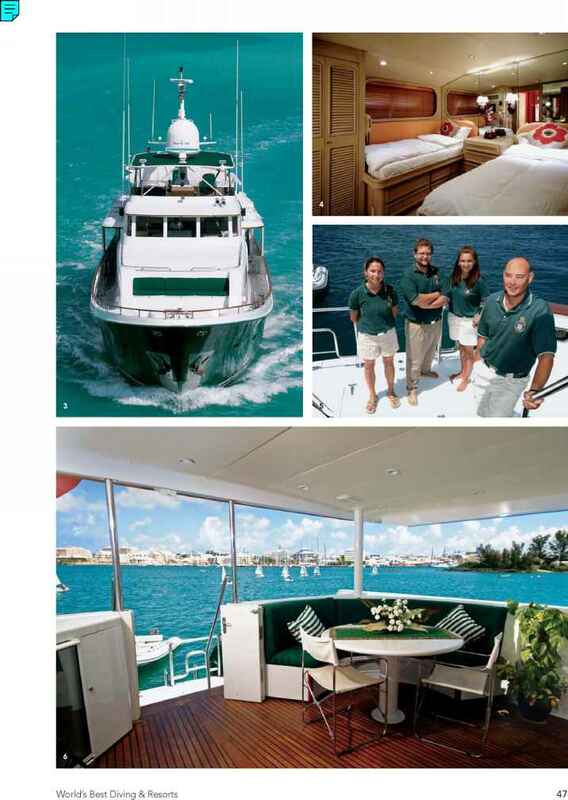 WHAT TO EXPECT: Boat diving, shore diving and inland cenote dives. The two major draws here are the Great Maya Reef and the incredible undergound fantasyland of the cenotes, some of which enter the most extensive underwater caves in the world. LANGUAGE: Spanish. TAXES: Hotel prices quoted generally include applicable taxes. ELECTRICITY: 120V, 60 cycles; U.S. appliances work here. TIME ZONE: Same as U.S. Central Time. young: Mexico's Mayan coast has ancient cities, such as the seaside temple center of Tulum, that were already abandoned ruins when the first Spanish explorers walked these shores. But it's also home to open (and often empty) beaches and some of the newest water-sport resorts in all of Mexico. 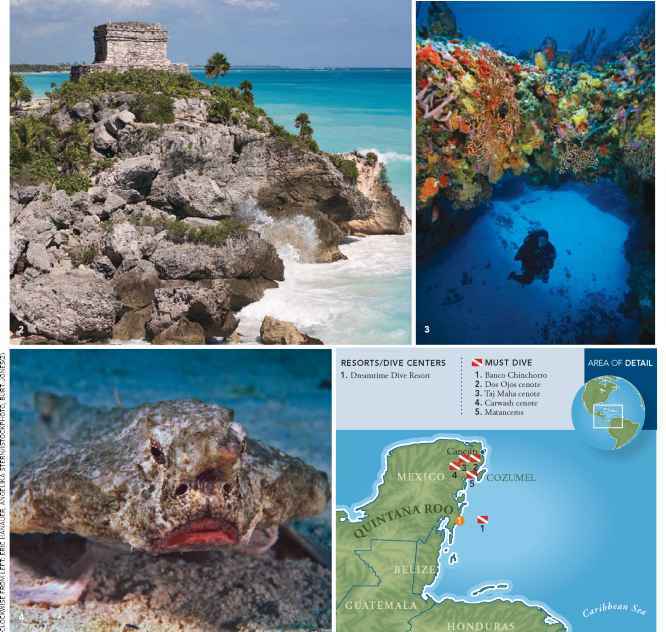 For divers, the Costa Maya and the Mayan Riviera are a dou-ble-whammy: The Caribbean coast faces the northern section of the Great Mayan Reef (largest in the northern hemisphere), where many sites in rashguard-temperature water are still awaiting their first visit by divers. 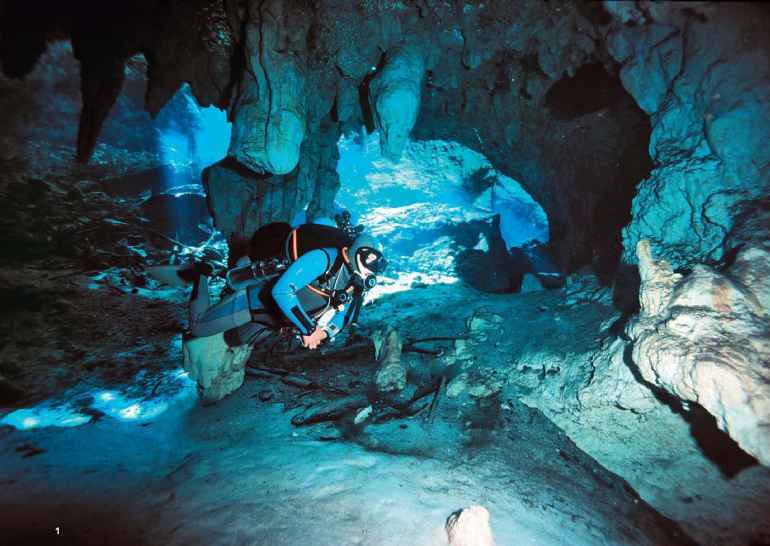 And inland, recreational divers and cave divers enjoy the spectacular clarity of cenotes and the wonderland of stalactite-covered cave systems into which they open. Together they make up some of the world's most beautiful diving in a wonderland that still welcomes new explorers.